The Junior High years are, developmentally, some of the most challenging that students will face. The amount of physical and emotional change that takes place during 7th and 8th grade can shake them academically and spiritually. 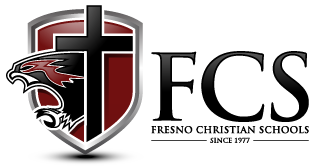 With this in mind, we at Fresno Christian seek to provide an environment that helps them to understand these challenges, in light of what God has to say about how he created them. These goals are accomplished through biblically based studies, chapel, small group discussion, and both athletic and co-curricular opportunities. It is our hope that, in partnership with families and the local church, we will be raising up generations of Junior High students who make good choices and are prepared to enter high school, the next step in their educational journey.